After the stress trying to put together the last few Civil War Quilt blocks it seemed so strange to be working with simple right angles. Sheer joy. 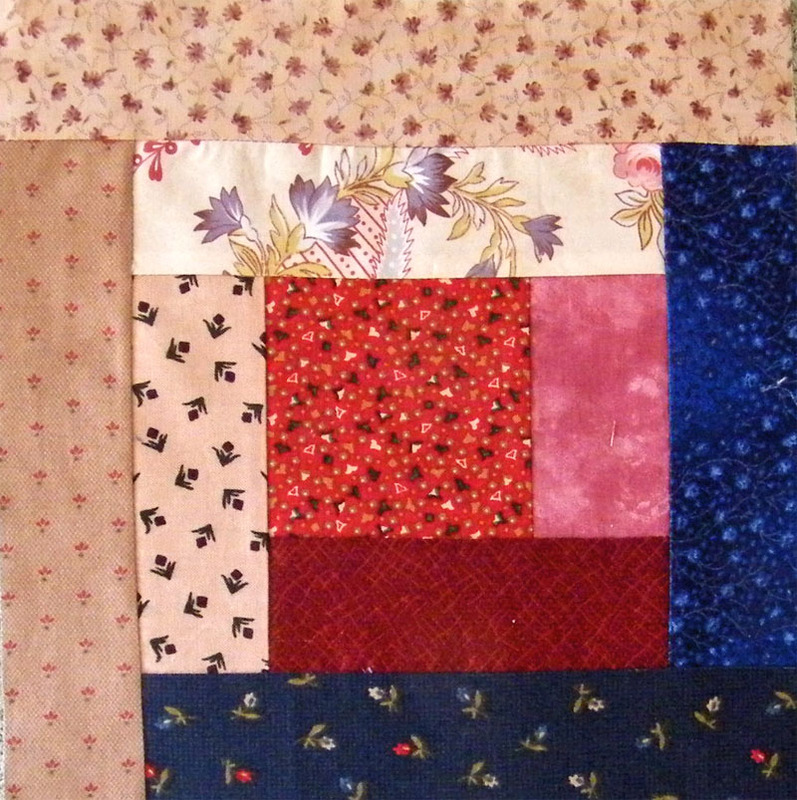 So this is what I whipped up after breakfast this morning and it turned out the requisite 8 1/2" square. There's a bit of an optical illusion but I've checked that all the strips are the right width.